The New AVANT Soko 5 is our latest lightweight freestyle frame kit which is designed to fit any Mini (22mm mounting pattern) and Micro size camera (19mm mounting pattern). 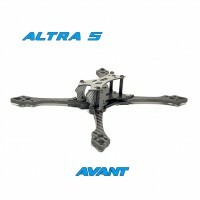 Each arm is secured with 3 screws with Interlocking configuration for extremely rigid during hard impact. 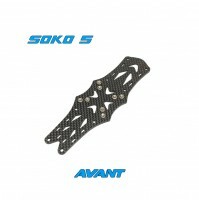 Thinner arm design will fit any individual ESCs up to 11mm or any type of 4-in-1 setups. 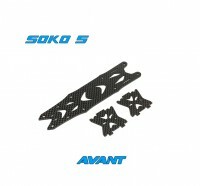 Fits standard 30.5mm x 30.5mm and 20mm x 20mm flight stack with M3 mounting holes. 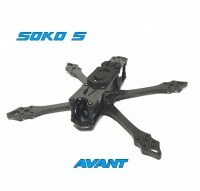 This frame has plenty of space to fit any high capacity lipo. It features 5mm thick arm, 2mm top, mid, bottom plate and 1.5mm camera mounting plate along with high quality non-slip knucked standoff. 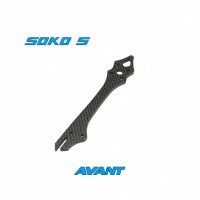 Airframe + hardware weighs 105g. All the 3d printed parts are uploaded at thingiverse for free download. 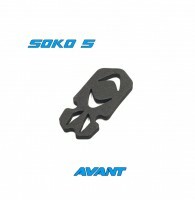 Please search for Avant Soko 5..
Altra 5 (Vilano Edition) Frame Kit "NEW"
Altra 5 (Pro Edition) Frame Kit "NEW"
Xelero 5FX Frame Kit "New"
Click the button below to add the Soko 5 Arco Frame Kit "NEW" to your wish list.